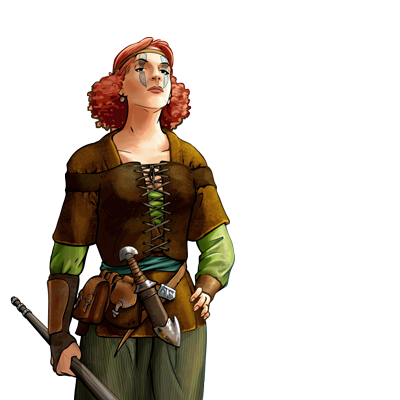 A noble by birth, the Outlaw Queen has learnt swordplay with the greatest generals and battle tactics with the greatest sages, making her both a great combatant and leader. However, she is the product of a failed aristocracy who has opted for the life of an Outlaw. She dreams of founding her own Queendom with the plunder she finds on the road, and she is ever so close to that goal. Special Notes: The leadership of this unit enables adjacent units of the same side to deal more damage in combat, though this only applies to units of lower level. This unit is capable of distracting opponents, allowing friendly units to trespass their Zones of Control and move unhindered around them. Last updated on Sat Apr 20 01:32:26 2019.